FFCMIN14 Country Statement delivered by Deputy MD for PNG National Fisheries Authority, Philip Polon. Mooloolaba, Q’land, AUSTRALIA-- A pivotal meeting on South Pacific Albacore opened in Australia today with Pacific officials taking a moment of silence to reflect on another issue close to their hearts: Observer safety. This follows recent confirmation that another Pacific fisheries observer has gone missing at sea. 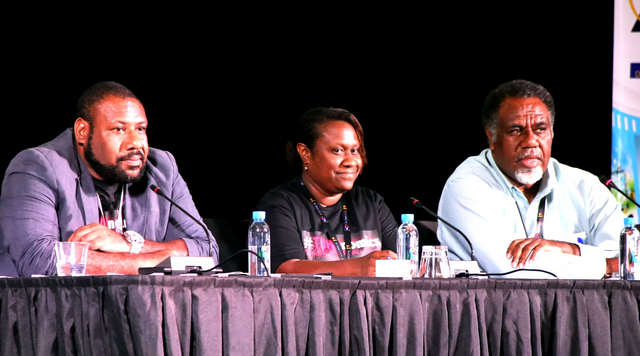 PNG #TUNAnomics event urges Asia media wantoks to collaborate more. Information provided in this list is from FFA member licence lists and regularly updated. Please click on the links below to view each member's licence list.